Embrace the coastal chic ambiance at Fashion Valley in San Diego. 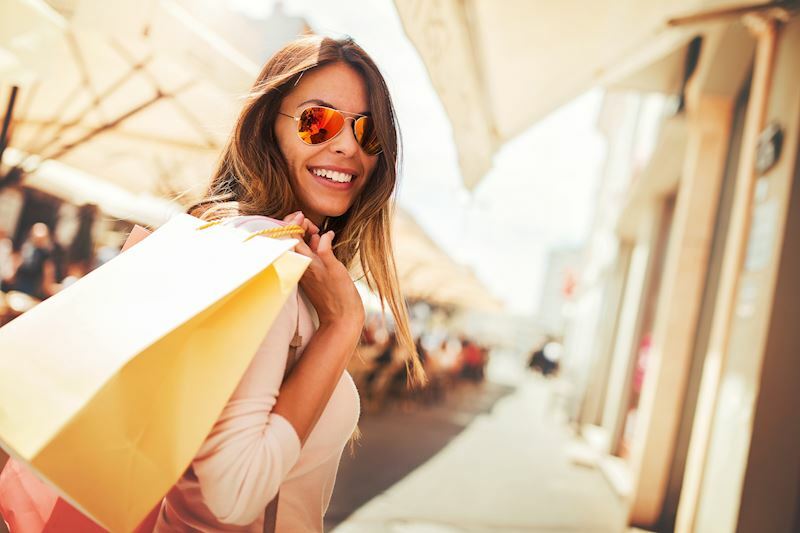 Immerse yourself in the upscale, open-air atmosphere of swaying palm trees, fountains and graceful landscaping as you peruse more than 200 department stores and designer shops and boutiques. Discover high-end fashions at Hermés and Prada, or explore big-name retailers like Bloomingdale's, Macy's, Neiman Marcus and Nordstrom. Enjoy great dining at the Cheesecake Factory, True Food Kitchen, P.F. Chang's, Blue Smoke Sushi Lounge and California Pizza Kitchen. Monday - Saturday, 10:00 a.m. - 9:00 p.m.; Sunday, 11:00 a.m. - 7:00 p.m. Hours vary by season. What stores are located at Fashion Valley Mall? If you're looking for the best collection of high-end designer fashion and upscale department stores, you've found it. Jimmy Choo, All Saints, BCBG, Hugo Boss, Emporio Armani, Henri Bendel and Hermés are just some of the names you'll find here. Add in Nieman Marcus and Nordstrom, and you could spend days exploring it all. What restaurants are near Fashion Valley Mall? When all the shopping has you in need of refreshments, the choices are endless here. From casual chic offerings like California Pizza Kitchen, The Cheesecake Factory, P.F. Chang's and Stacked to the upscale Zodiac Restaurant at Neiman Marcus, you can satisfy any craving for lunch or dinner.